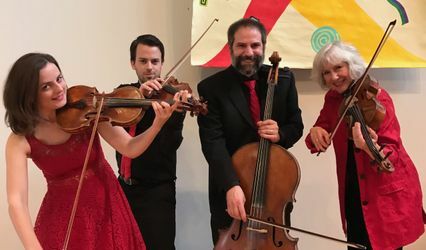 Allegria Ensemble musicians perform as the Allegria String Quartet, or as a trio, duo, or solo. We are based in State College, PA in Centre County, in central Pennsylvania. 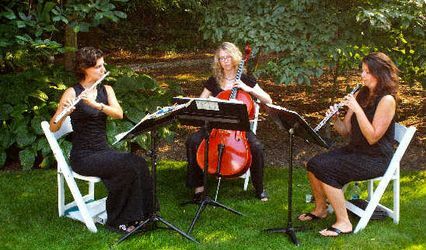 In addition to wedding ceremony music, we can provide background music for a reception or banquet. 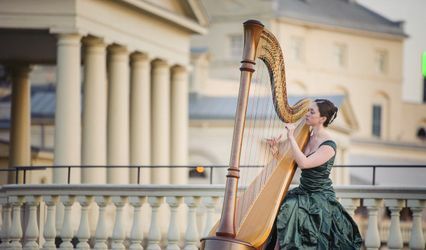 With our acoustic sound your guests can converse without shouting. 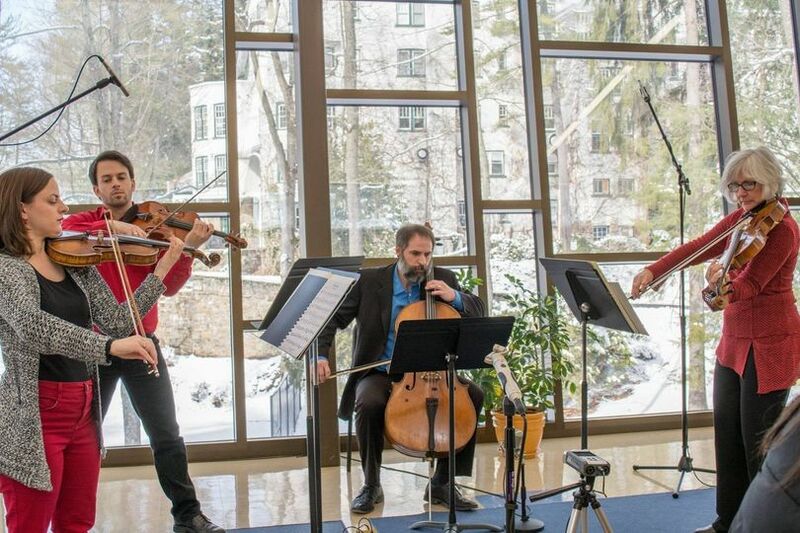 We perform in a variety of venues including churches, resorts, wineries, and gardens. 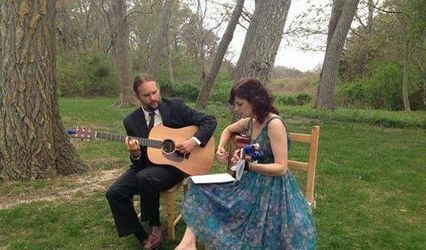 Our playlist includes wedding standards, light classics, ragtime, waltzes, opera melodies, and pop tunes including Coldplay, John Legend, the Beatles, and Cole Porter. Outdoors at C. Barton McCann School of Art for a wedding. 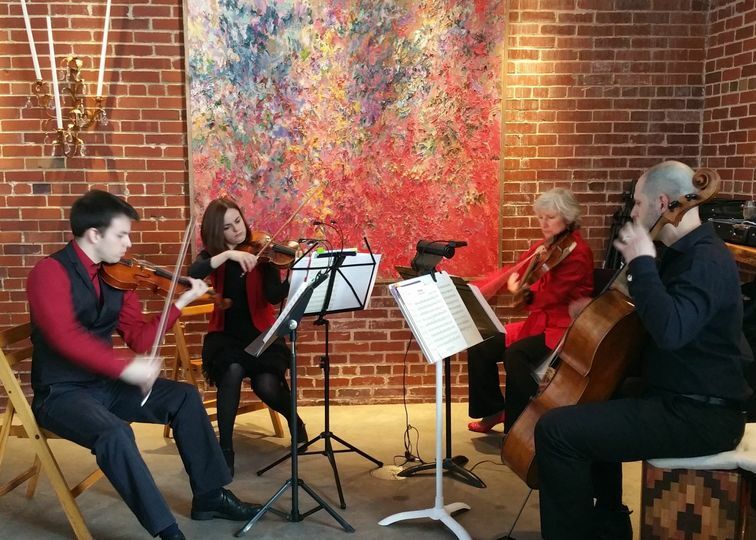 So fortunate to have had the pleasure of experiencing the Allegria Ensemble! Loved the fact that they had such a wide repetoire of songs to select from including classic to contemporary. 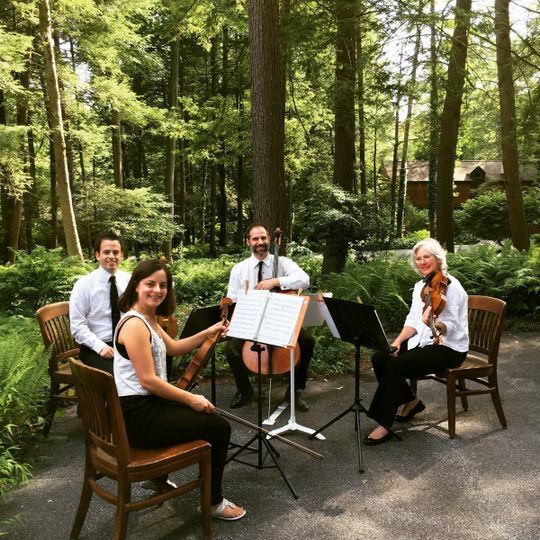 This string quartet is a must for your event - so classy and elegant. Their music is beautiful and emotionally moving. 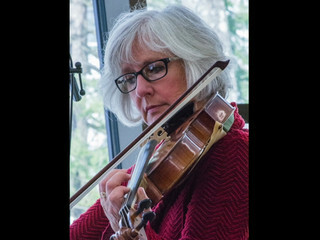 Guests raved about the quartet being one of the highlights of the day. 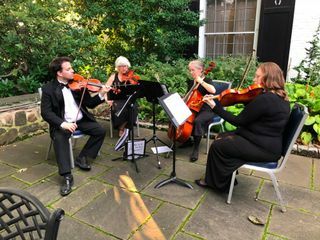 Thank you so much for the lovely music that the Allegria Ensemble played for our wedding. You were perfect! 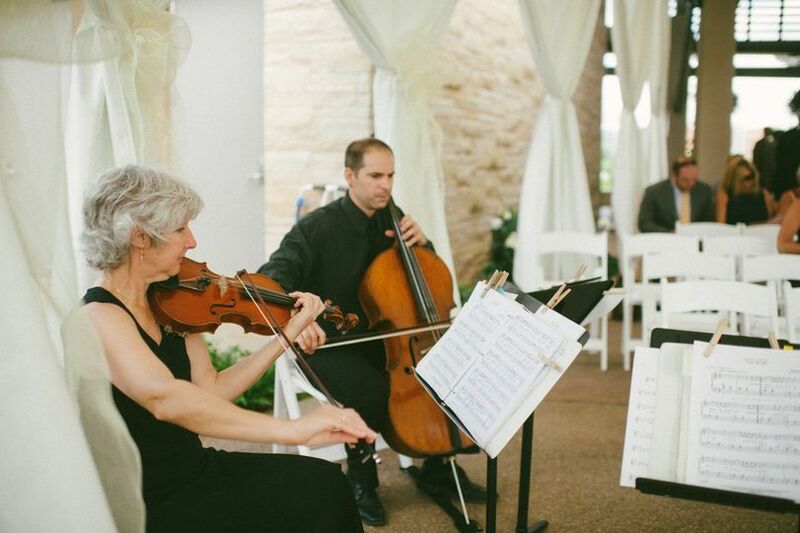 Planning a wedding is so stressful, but you and your team made the beautiful music part easy for us. We appreciated your consultative approach, as well as your experience and your talent. 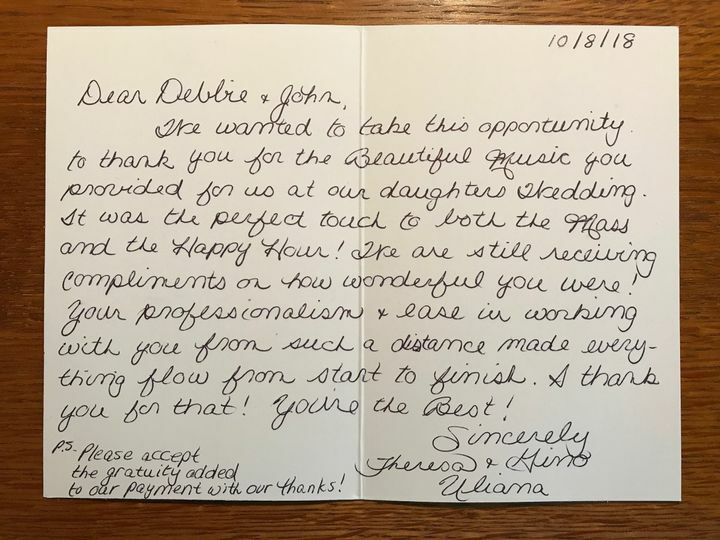 You created precisely the elegant environment that we wanted for our wedding, and we are most appreciative! We hold you in the highest regard. 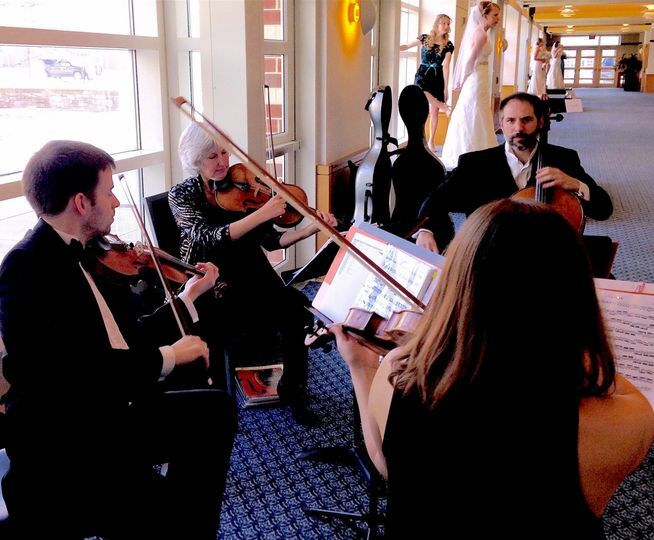 I hired the ensemble for my ceremony and our cocktail hour. They played beautiful music and even posed for pictures with two young aspiring artists in the crowd! 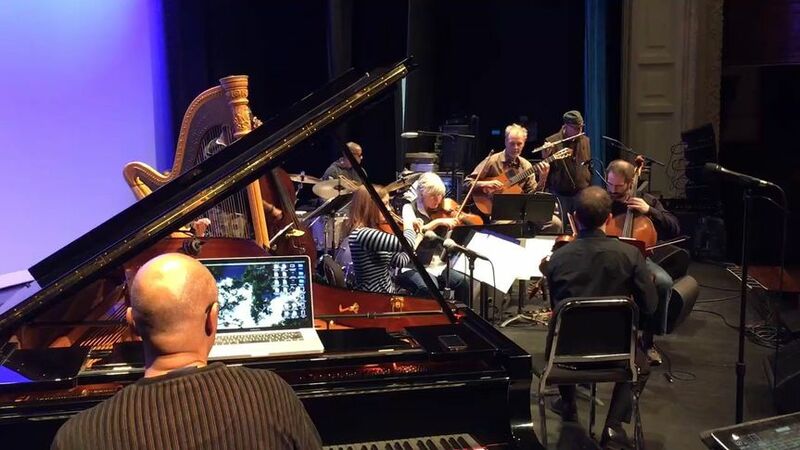 Book our musicians for 2020 before November 1, 2019 and receive our 2019 rates.